A piece of American rock 'n' roll history was discovered in western Massachusetts: the original Aerosmith tour van. 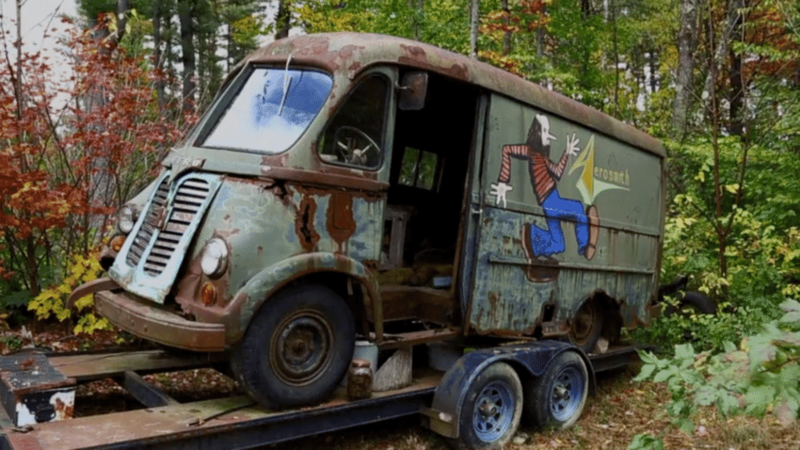 In a recently aired episode of the hit History Channel show, “American Pickers,” hosts and antique scavengers Mike Wolfe and Frank Fritz tracked down the band’s original tour van in Chesterfield that the group used to schlep to gigs around New England in the early 1970s. Not much was initially known about the rusted, 1964 International Harvester Metro van, buried in the woods, said the property’s owner, identified only as Phil, who told Wolfe and Fritz the vehicle was there when he bought the land. Founding Aerosmith member and guitarist Ray Tabano confirmed the find, calling it the band's "rolling hotel." Wolfe and Fritz purchased the historic van for $25,000.